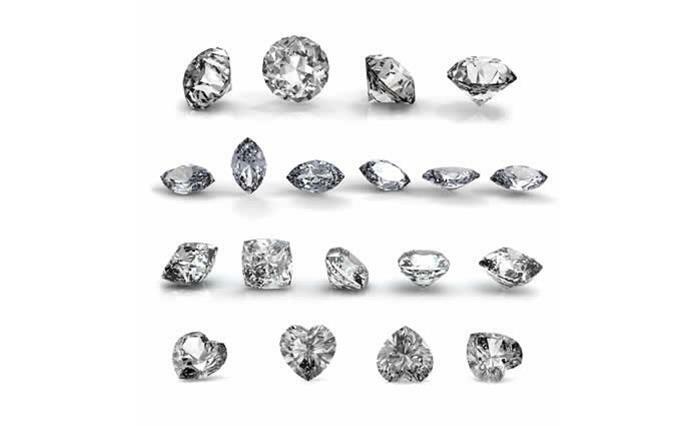 Diamonds are graded based on the 4 C’s – color, cut, clarity and carat weight. However, there is another important feature that determines the value of the gem – the shape. Very few experts will discuss the diamond’s shape in the list of important characteristics. But if you are planning to invest your money with this piece of jewelry, it is important to know that you have more choices. Most of the diamonds out in the market comes in this shape. It is the favorite of most jewelers because its precise formulaoffers the maximum fire and “sparkle” factor. Since it is the most popular, it gives you more flexibility in terms of balancing other factors like color, cut and clarity. Round also provides greater durability angle against abrasions and nicks. As for buyers, they are highly priced but do not offer much uniqueness. The princess cut has become the modern look of diamonds because of the minimalistic design. The pointed corners and traditional square shape is an attraction on its own.It has several sparkling facets that are flattering to the hands. It is the favorite style in engagement rings and it matches any type of metal. Cushion is also called as the “old star” or “pillow-cut” and it has been there for centuries. The rounded corners and large facets increase the brilliance in the stone. Diamonds made to cushion-shape are highly durable. Radiant shape diamonds have trimmed corners. It is ideal for baguette and round side gems. Oval is similar with the round diamond but it generally follows the shape of the nails. The symmetrical design and elongated shape gives a flattering illusion to the hands. The traditional look is more appealing for middle-aged women. Marquise maximizes the carat weight to give you a larger looking piece of jewelry. It is best used as a solitaire or combined with round and pear-shaped smaller side stones. It is recommended for people who want to make their fingers appear long and slender. Emerald cut has rectangular facets that create a unique optical appearance called the pavilion. Because the shape highlights the clarity of diamond, thisis best for high grade gemstones with flawless quality. This is almost identical to emerald except that it is square. It also highlights the clarity and the color of the stone may be slightly visible in the corner. Pear is also called as the teardrop shape because of its rounded end and single point. It combines the best features of oval and marquise. Jewelers all agree that it gives a subtle slimming effect on the fingers. Its features are best showcased for pendants and earrings. As the symbol of love, the heart-shaped stone is the favorite of lovers. It is basically a pear shape with a cleft at the top. Because this is quite difficult to cut, imperfections may be common with it. For high quality gem, pay attention to the even shape and outline. Each diamond shape offers a unique characteristic that will determine its quality. Choose the one that suits your taste and budget and feel elegant whenever you wear your jewelry.